B2410LF is rated 5.0 out of 5 by 4. 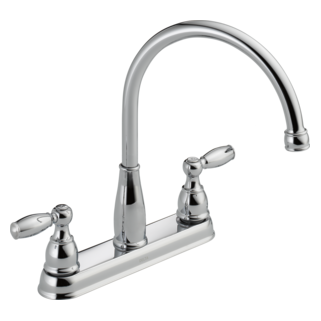 Rated 5 out of 5 by nr from Delta B2410LF Foundtions Kitchen Faucet\ I have bought Delta faucets over the years and have been very pleased with them and they offer a lifetime warranty. I decided to update my faucets when my house flooded and chose Delta again because of their quality. 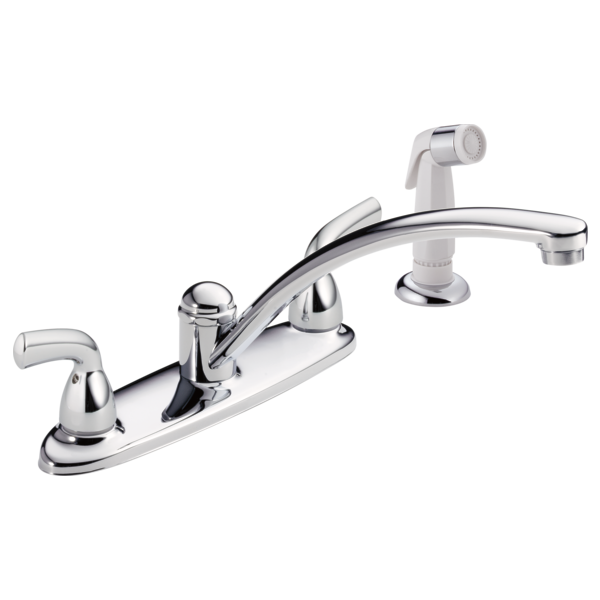 This particular faucet is in my utility room where I didn't need an expensive faucet and I feel it is a good value for the quality I have experienced with Delta faucets in the past. Rated 5 out of 5 by robbie10 from She loves it ! 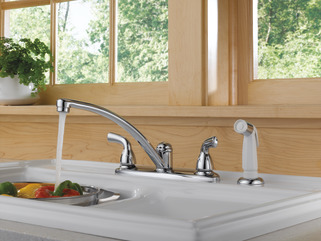 My wife loves her new Delta B2410LF Kitchen Faucet with Side Spray. When she's happy that makes me very happy. Thanks so much. Looking forward to doing more business with you in the near future. Thanks again. Rated 5 out of 5 by JimDing from Nice Received right on time. Easy installation. Wife says it looks 'pretty'! That's all that counts!! What parts if any are plastic of steel look alike? Is this model B2410LF made in China? Will the faucet aerator on B 2410LF take a Brita or Pur purifier? Would an adaptor be necessary? This is replacement faucet in an older 4 hole sink. Thanks. Thank you for your question. 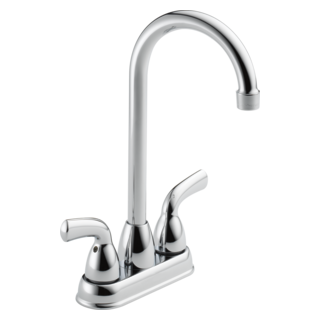 Delta Faucet model # B2410LF has 15/16 aerator. You will need to find out the size of the Brita or Pur purifier to know if it will fit. We do not manufacture adapters for purifiers. Are there hot and cold indicators for this? Thank you for your question. Delta Faucet model # B2410LF does not have hot and cold indicators available for the faucet.